Summer tans are slowly fading, cooler temperatures are coming, and fall is around the corner. It’s time to change your skincare routine by using fall-inspired products. Think pumpkin! 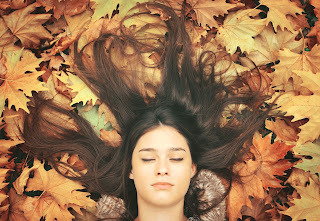 It not only reminds us of fall, it also has many beneficial properties for your skin. Pumpkin contains Vitamins A and C, which soothe and soften the skin and help prevent signs of aging. Honey fights acne and aging due to its antibacterial antioxidant properties. What better combination than apple and honey? Creating an apple and honey mask is a perfect way to revitalize tired and worn-looking skin. Honey rids skin of topical bacteria and replenishes moisture, while apple acts to exfoliate and cleanse pores. Rich in antioxidants, cranberries prevent wrinkles and reduce redness. Incorporate cranberries into your skincare routine by adding them to any mask or by making your own. Combine cranberries, yogurt and honey and apply to your face, leaving it on for 15 minutes, then rinsing and applying moisturizer. We hope you enjoyed our fall skincare advice; let us know below in the comments!